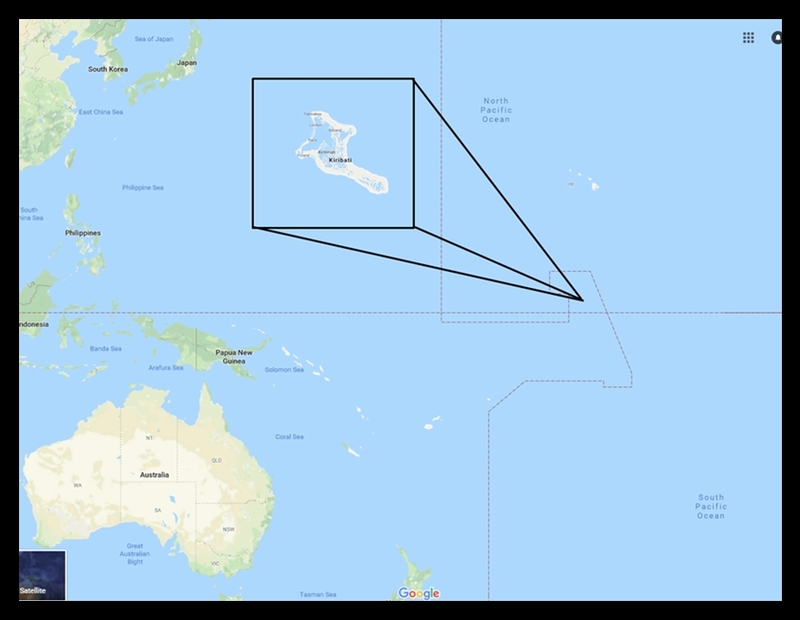 There is a country composed of small islands scattered over about 2 million square miles in the southwest Pacific Ocean. It has a total land area of278 square miles (1981) consisting of33 islands. 16 Gilbert Islands, Ocean Island, 8 Phoenix Islands, 8 Line Islands. A side note: Caroline, Flint, Vostok, Malden, and Starbuck are the names of the Southern Line Islands. Sailors new that the islands straddle the equator – thus the name. Vostok Island is only 0.1 square mile in area and Caroline Island is only 1.5 square mile in area. A bit of history. Great Britain gained control of the Gilbert and Elice Islands in the 1890s, then Ocean Island in 1901. After 1916 the Line Islands and the Phoenix Islands were added to the group. The Japanese invaded the Gilbert Islands in 1939 and held them until the U.S. Marines invaded Tarawa in 1945. In 1975 the Elice Islands separated and then became the independent nation of Tuvalu in 1978. 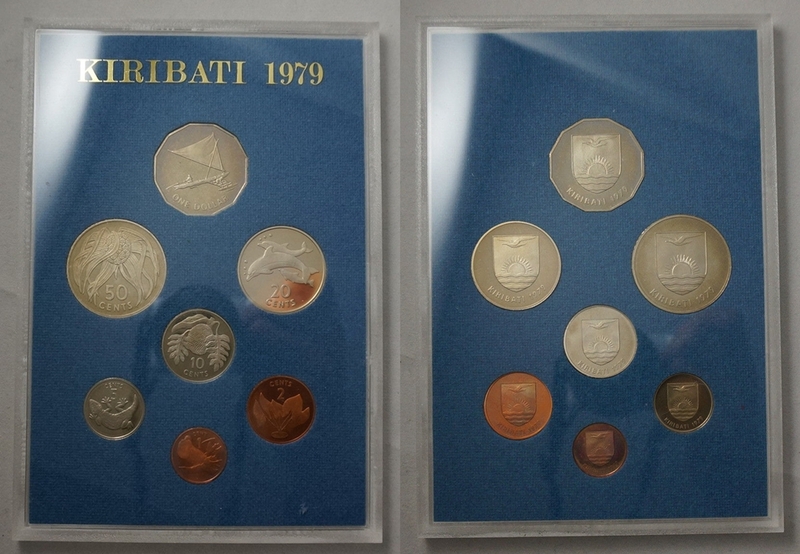 The remainder ofthe group gained independence on July 12, 1979 and became the republic of Kiribati. It is a member of the Commonwealth of Nations. 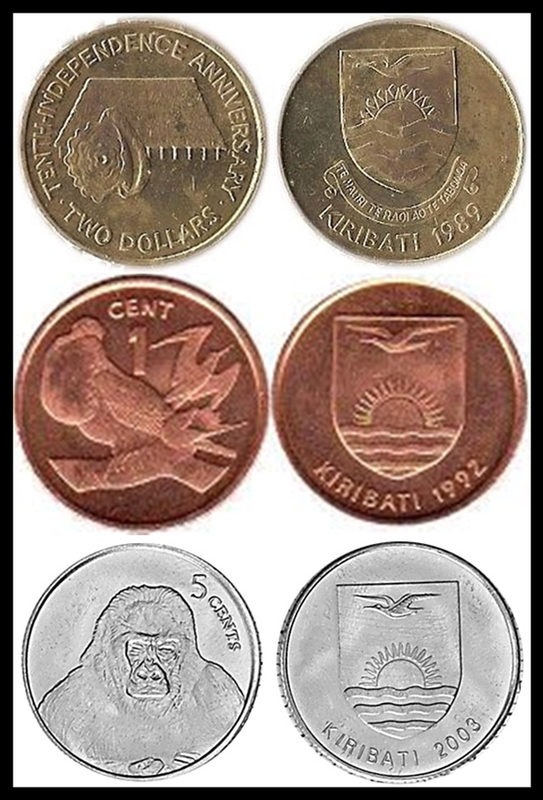 In 1979 Kiribati issued circulating coins with denominations of 1,2,5, 10, 20,50 cents and 1 dollar. 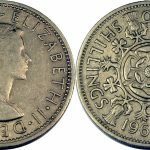 In 1989 a 2 dollar and a 5 cent in 2003 were issued. All other issues have been commemorative or collector coins. 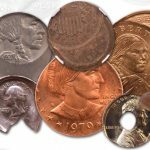 Here are a few of the coins that Herb shared in. 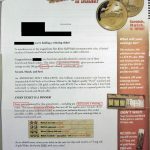 SCRATCH AND WIN SCAM !